Painting in good condition , has been restored . 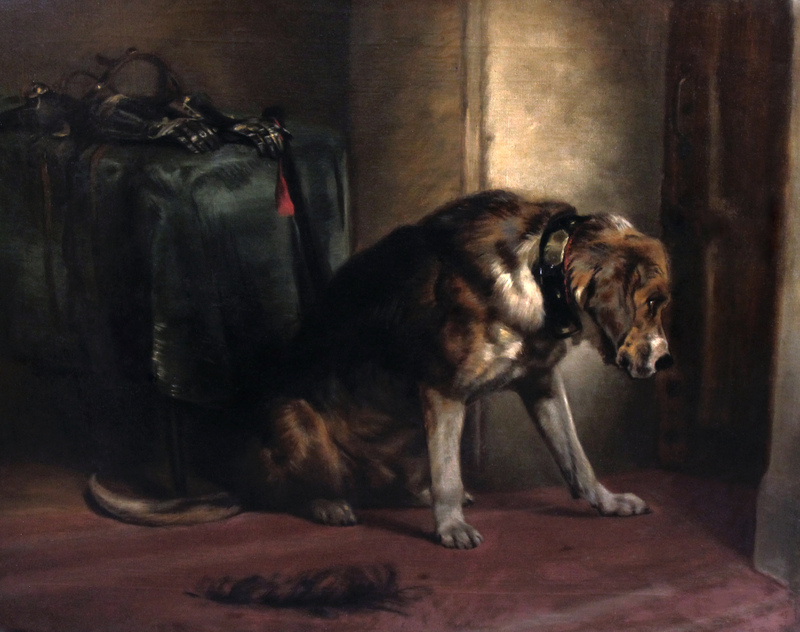 English dog oil on canvas , painted in 1870 after Sir Edwin Henry Landseer’s painting entitled ‘Suspense’, in the collection of the Victoria and Albert Museum of London. 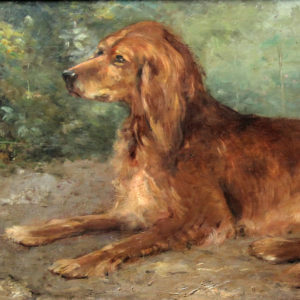 A bloodhound propped on its front legs sits within an interior, looking intently at a closed door, as if ready to spring. 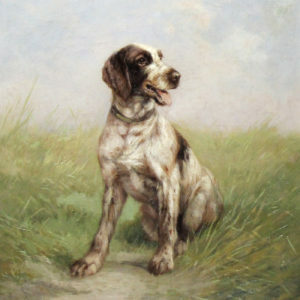 A heavy collar encircles his neck below a drooping head with piercing eyes. Behind him, a pair of discarded steel gauntlets lying on a table places the scene in the 17th century. 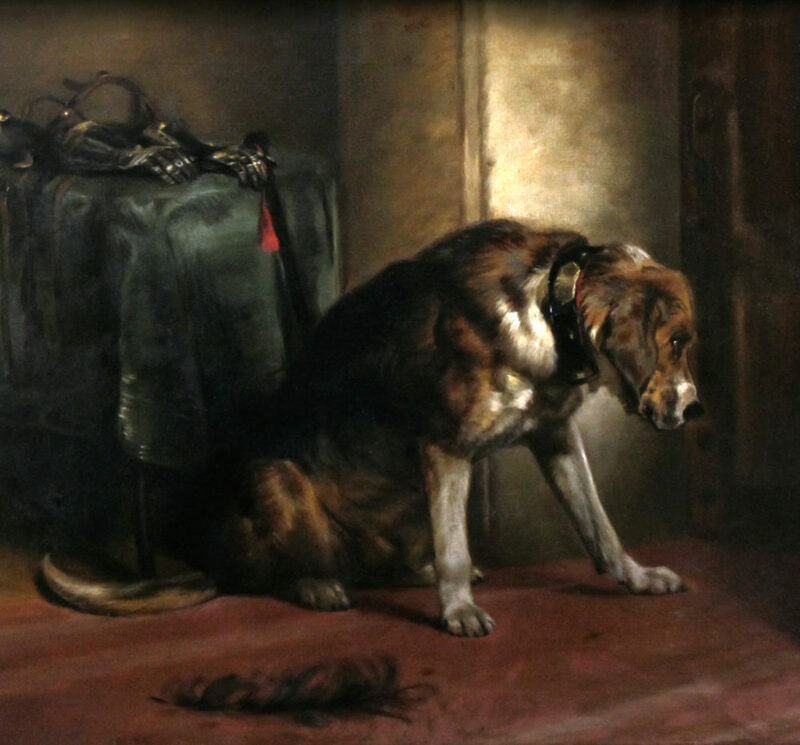 A feather torn from a hat has been dropped on the floor, suggesting the absent master in the other room. 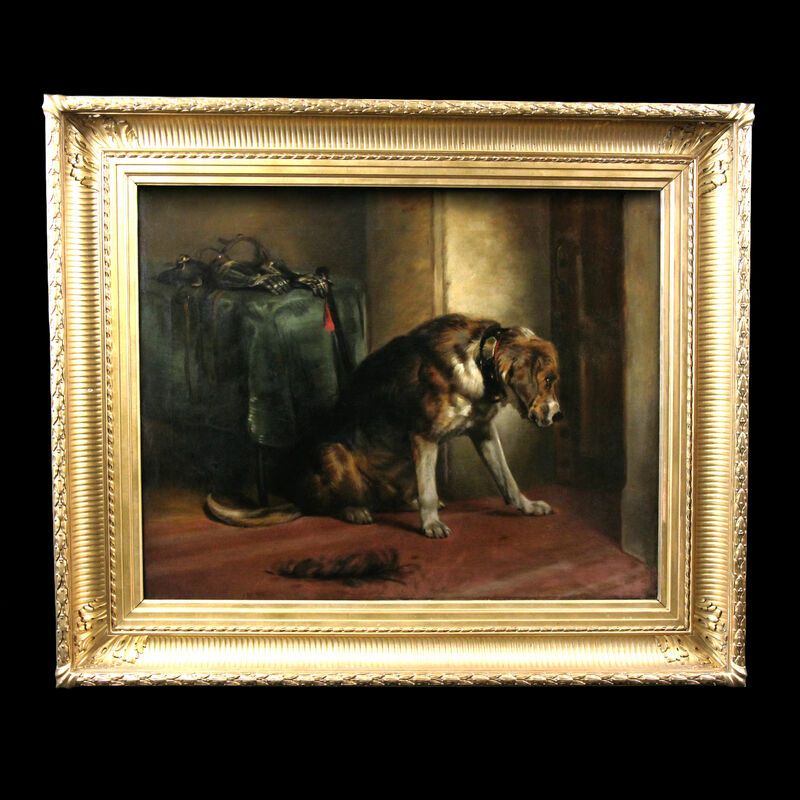 This 1870s, oil on canvas, was inspired by Sir Edwin Henry Landseer (1802–1873) who was a British painter, sculptor and engraver, mainly of animal subjects. Favorite painter of Queen Victoria, he sculpted the four bronze lions for the base of Nelson’s Column in Trafalgar Square. 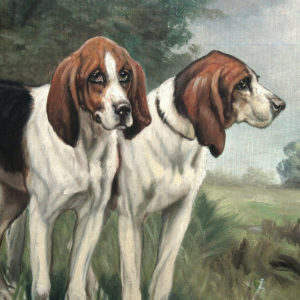 The well-depicted animal anatomy along with the nobility and humanization of the animal, characteristic of Landseer’s art in the age of Romanticism, would make this English dog oil painting a charming addition to any home. 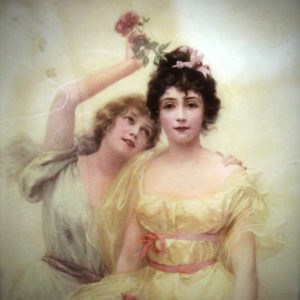 Frame : sold without the frame !